The nicest places in a foreign city are those that are the real authentic ones, places with character and history. Are you with me? 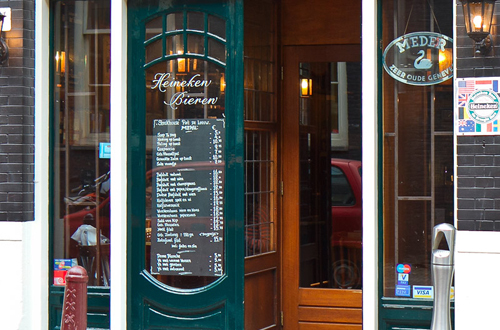 Then stop searching and head straight to the Noorderstraat 11, near the city centre for a real Dutch experience. 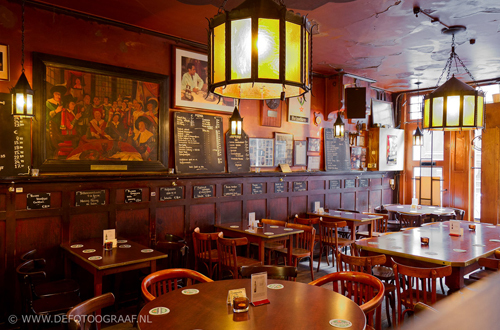 Piet de Leeuw is one of the first cafes in Amsterdam and still has the original character of a brown pub: wooden furniture, old photographs on the wall and original beer engines. Have a seat at one of the wooden tables, or, if you’re more adventurous, at one of the large tables. This way you have the chance to have a nice chat with one of the locals sitting next to you. Guarantee for a night to remember! The restaurant is mostly famous for its steak, which is really tender and very well prepared. Order it plain or with onions, mushrooms or pepper sauce. However, if you would like to start the evening in a Dutch way, order the fish plateau first: eel, herring and salmon on toast. Together with a nice cold beer a perfect combination. Starters are around 10 euro, a plain steak will cost you €16,50. 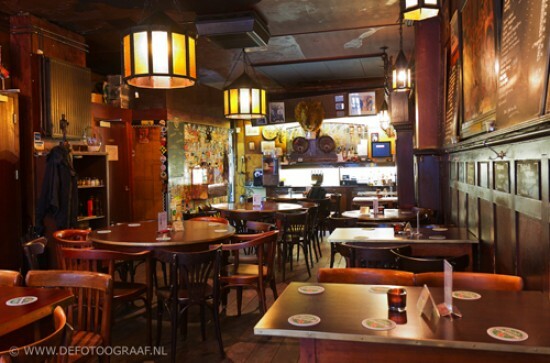 If you want to have a good night out in Amsterdam, make sure you suite this restaurant into your plan. It’s located near the Prinsengracht, so after dinner you can take an evening walk along the canals. 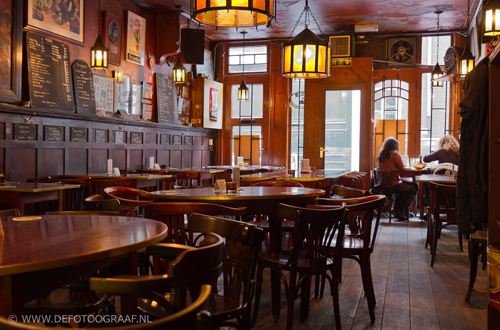 Or you can have a beer in one of the many pubs in De Pijp or hit a club at the Rembrandt plein. Take tram 4, 16, 24 or 25 and get of at stop ‘Keizersgracht’. During weekends make sure to call ahead to make a reservation.